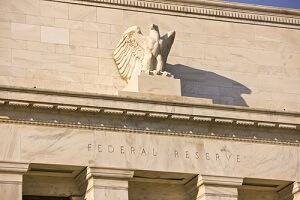 What Is the Fed Funds Rate? Subject: What Is the Fed Funds Rate? × three = twenty one Required Please enter the correct value. There's been a lot of talk of when – and even if – the U.S. Federal Reserve will raise interest rates soon. But the mechanism for which the Fed raises rates, the so-called "Fed funds rate," is hardly well-understood. So, what is the Fed funds rate? And how does the Fed set interest rates? The methods for interest rate setting are rather complex. And the typical monetary policy procedures have altered dramatically since the global financial crisis. To understand the Fed funds rate, we'll first need to answer the question, "What are bank reserves?" Bank reserves show up as an asset on a commercial bank's balance sheet and a liability on the Fed balance sheet. Think of reserves as a commercial bank's checking account at the central bank in the same way you might have a checking account with your commercial bank. Reserves are made up of deposits at the bank. When a bank customer withdraws money from their electronic account, converting them to paper currency, or makes an electronic payment, a bank's reserves will go down. In one case, reserves are leaving the bank in the form of paper currency to be held by an individual, and in another case, reserves are being transferred from one bank to another. You'll notice that in the aggregate, reserves can't be created, only shifted around within the interbank market or converted into cash through withdrawals. That's where the Fed comes in. The Fed creates reserves for which banks can use to settle interbank payments and meet Fed-mandated reserve requirements. So, how does the Fed create reserves? Where Do Reserves Come From? The Fed creates reserves through open market operations. It will either buy assets, typically U.S. Treasuries and other bonds, from depository institutions, or sell assets to the banking system. The Fed will remove a bond from the asset side of a bank's balance sheet. That bond will then show up as an asset on the Fed balance sheet. The Fed will then credit the bank's assets with reserves equal to the value of the bond. Those reserves become an asset to the bank but a liability to the Fed, since reserves are the bank's checking account at the Fed from which it can draw money. This is typically viewed as "money printing" because the Fed is creating assets where there were none. But really these reserves are created with keystrokes on an electronic spreadsheet from thin air. This won't affect the size of the bank's balance sheet – it will only rearrange the composition of its assets. When the Fed wants to extinguish reserves, it will sell bonds that the banks will then purchase with reserves.